Periodontal disease has serious consequences for oral health and systemic health. It can lead to tooth loss and bone loss, and the condition has also been linked with other health problems including heart disease and diabetes. Gum disease may even cause complications during pregnancy. Gum disease is caused by oral bacteria that attack the soft tissues of the mouth, causing inflammation in those tissues. Those bacteria, which are found in plaque and tartar, feed off of sugars that remain in the mouth after a person eats. If gum disease develops, patients should seek treatment as early as possible. Gingivitis, which is the earliest stage of gum disease, often can be addressed with a thorough cleaning by a dental hygienist. More advanced cases warrant treatment by a periodontist. The periodontist may perform specialized procedures, such as root planing and scaling, or even use surgical techniques to eliminate the presence of the oral bacteria. It may be possible to prevent periodontal disease by committing to healthy habits, though. 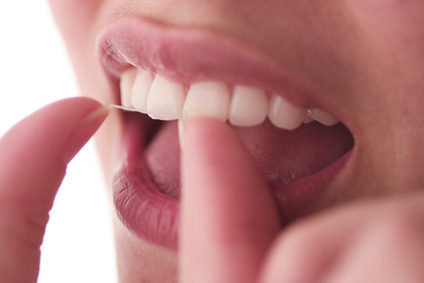 Regular brushing and flossing is key. Brush at least twice daily and floss every day. Consider using an electric toothbrush, which is more effective at disrupting the collection of plaque along the gumline. Antibacterial mouthwashes are also helpful in efforts to thwart gum disease. Smokers are also at higher risk of gum disease, as tobacco use can contribute to inflammation and interfere with the body’s ability to fight infection. Gum disease prevention is yet another on the long list of reasons to quit smoking. Diet can also contribute to gum disease. For example, sweet, sticky treats can leave a residue that’s a good food source for oral bacteria, so keep those to a minimum. Some dairy, like certain cheeses and yogurt, may also help to keep bacteria at bay. Even if you’ve had one episode of gum disease, you’re not necessarily doomed to need future invasive treatments for the condition. You can reduce your chances of making a return trip to the periodontist by following a good oral hygiene routine and making healthy dietary choices. For additional information, contact our Manhattan periodontal office today. 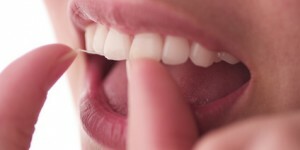 Gum Disease: Do genetics play a role? This entry was posted in All, Blogs, Gum Recession, Missing Tooth (Teeth), Mouth-Body Connection, Periodontal (Gum) Disease, Periodontist and tagged gum disease Manhattan, Manhattan periodontist. Bookmark the permalink.